Meeting Corpus Christi-area native Mitch Morris is like discovering a long lost friend who you’ve missed periodically along the way. That in mind, his affable charm shows that nice guys really do finish first. How? 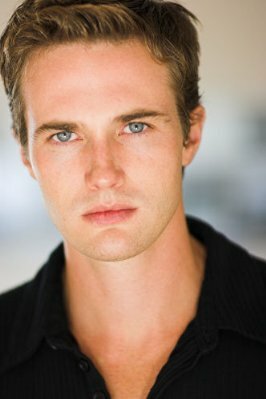 He’s now plays Cody, an activist, on one of cable’s biggest hit series, Showtime’s Queer as Folk. Since he hit Hollywood a short time ago, he’s landed an American Eagle television advertising campaign, guest-starred on television shows like ER, Buffy the Vampire Slayer, and Presidio Med, and has also starred in theatrical projects. Last year, Mitch tackled the role (and won rave reviews) of a young soldier coming to terms with his death in the Los Angeles revival of the Pulitzer Prize-nominated play, Summertree. Friendly and open as only a Texan can be, he divulges to us about his life, career, and his latest successes. LAM: What inspired you to move to Hollywood? MM: I’m obsessed with movies – the first one I saw in a theater was ET. I’ve lived here for two years and the first year was rough – living in my car, working five jobs at one time, trying to make friends. I didn’t know anyone when moved out here, so I learned that networking is very important in making it in the entertainment business. LAM: What is it about Texas upbringing that keeps you balanced in your career? MM: I was raised to “do what you love to do, and stay true to who you are.” I come from very level headed, sweet, good people. I recently attended the Screen Actor’s Guild Awards – it is “so Hollywood.” It just isn’t reality here. What draws people to Texas is that sense of community. It’s harder to feel those things in larger cities beyond Texas. LAM: Your talents as an actor on high profile projects have catapulted you as “the guy to watch” in Hollywood. What was your first “aha” moment that it was all really coming together for you? MM: In 2002, I had my first audition – for ER. I didn’t get part, but was cast was in something else – my first real role, in the series, Presido Med. It really started the ball rolling for me – again the importance of networking. LAM: How has living in Los Angeles been for you – what was your biggest adjustment from Texas? MM: The people are different, not necessarily good or bad, just different. For instance, when I lived in Dallas I remember having a flat tire on the highway at night and three people pulled over to see if I needed help. Here, nobody does things like that. So, you could say the people are different in the most basic ways like that. LAM: Is it tough to stay for you to stay career-focused when there are so many diversions in L.A.? MM: Not really – I am saturated with my career and find myself driven to be successful. I attend acting class three nights a week, and at night I am preparing for several auditions that I have every week. That, and voice lessons and private acting lessons helps me stay very focused. LAM: In an advance copy I screened of the Showtime series, QAF, your role is powerful. What has been your biggest challenge in playing such a dramatic role? MM: You’re right, it is a strong dramatic role. Making sure my character, Cody, comes across as person the audience can connect with, and not someone that is evil, is key. He comes from a painful place of being bullied, like so many people have of every walk of life, so my specific goal was that they be able to relate to him. LAM: Most of your acting work has been strong, dramatic roles – any thoughts on perhaps playing comedy in the future? MM: I would love the opportunity to do comedic roles. To me, comedy is much harder than drama – it is much more specific. Comedy timing is a natural thing and although a person’s friends may think they are funny, like mine do, it doesn’t necessarily make a comedian. I would love to try it, though. LAM: What is a night on the town for you in Los Angeles? MM: My favorite thing is to go to a movie – to relax and then hang out over dinner with friends. I’m not into club scene. L.A. is a city of people climbing to the top – and people either see you as a rung to the next level or someone who can be stepped on to get there. I am lucky to have a good group of friends to avoid all that. LAM: What makes a Texan both stylish and substantial to you? MM: To me an epitome of the best of Texas is Renee Zellweger. She is brilliant and talented. The key to her success is her genuineness and how people connect to her. She’s the “girl next door”, the kind you could have a conversation with. LAM: What’s next for Mitch Morris? MM: I love acting and to complement that, I have ideas to move into producing and writing eventually. Right now, acting is the main thing. We’re in the middle of pilot season for TV, which is hectic and competitive since “scripted” shows are suffering because they are not as abundant as reality shows. LAM: Last question: one word Mitch Morris would use to describe Mitch Morris? Tenacious. I’m very career focused will do everything to make it in the entertainment business and want to make my fellow Texans proud of one of their own.